MSD retained a team lead by Reitz & Jens to complete the Sappington Creek – Meath to Gravois (GCXR-110) Preliminary Design. The purpose of this project was to evaluate alternatives and recommended solutions, along with design parameters, preliminary construction cost estimates, and design/construction phasing options for channel stabilization improvements within the 1335 acre Sappington Creek watershed. The watershed includes 11,800 feet of the Sappington Creek open channel, 2,500 feet of Musick Creek channel and associated floodplains. Sappington and Musick Creeks are tributaries of Gravois Creek. The watershed is almost completely developed. 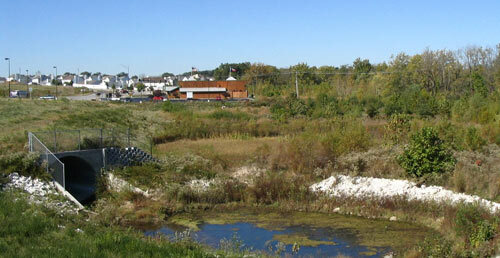 The upstream reaches of Sappington Creek contain small commercial properties while the downstream portions of the watershed are residential. 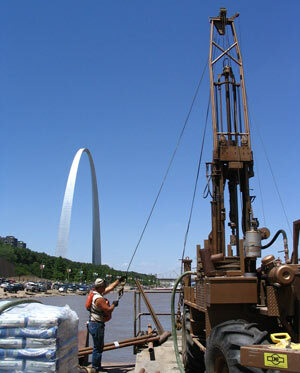 The watershed is primarily in unincorporated St. Louis County. A secondary goal of the study was to develop a method for evaluating and addressing channel related instability and flooding on a watershed wide basis instead addressing these issues on a more local, piecemeal basis. The watershed approach first looked at the stream as an interconnected system to determine if global solutions were appropriate, and then addressed local issues within the global context. Individual Preliminary Studies for recommended projects. The report included a discussion of the watershed geomorphology, existing physical conditions, stability analysis, flooding analysis, alternatives considered and detailed recommendations and estimated costs for stream stabilization. A key component of this report was the long profile survey that included extensive information on channel features and problems along the profile. 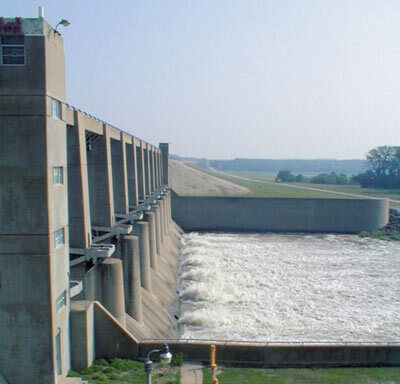 The report also cataloged flooding and erosion complaints, known past stabilization and flood control projects, and other indicators of existing problems. This information was superimposed on an analysis of Sappington Creek’s drainage network to reveal problem patterns, prioritize needs, and identify opportunities for proactive action. This report also included an interactive AutoCAD file of the watershed with links to all field data that was collected. The report identified fifty-six individual bank stabilization projects of various sizes with a total construction cost of approximately $1.5 million, and forty-six storm water outfall repair or replacements totaling $200,000. The report also recommended floodproofing several habitable structures that experienced chronic flooding, and recommended options for prioritizing, phasing and grouping the construction.